Valve wants game publishers and developers to use actual in-game screenshots in their Steam store listings, rather than artwork or other images, which is why the company is updating their screenshot guidelines to benefit game buyers. In an email sent out to developers, Valve explains that their screenshot guidelines haven't been particularly clear in the past, but that's set to change when the Steam "Discovery Update 2.0" goes live in a few weeks. The new guidelines will require proper screenshots in the game listing's screenshot section, while game artwork and heavily doctored game images known as 'bullshots' should be placed elsewhere. The reason for this change is simple: advertising a game through images that aren't screenshots "can make it harder for customers to understand what the product is that they are looking at," according to Valve. The guideline changes mean we'll no longer see artwork and other non-game images mixed in with screenshots, making it easier to see what you can expect from a game. Aside from helping out prospective game buyers, Valve is also set to use screenshots in more places around the Steam store when their revamped interface (the aforementioned Discovery Update 2.0) is launched. 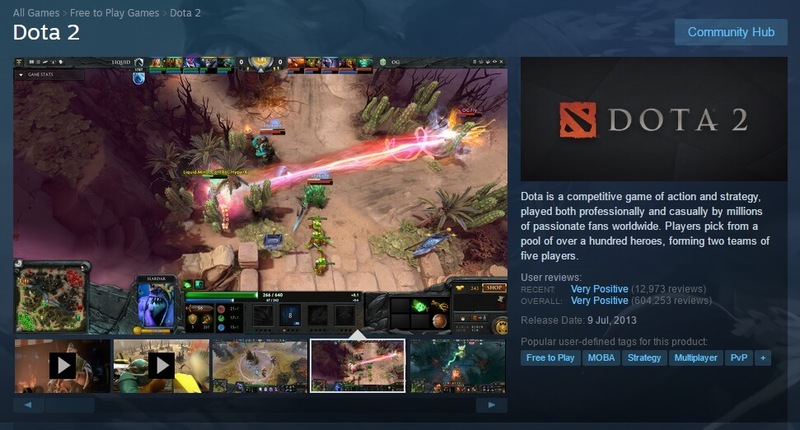 Valve wants these screenshots to actually represent the game, although publishers should indicate which screenshots may contain content not suitable for a broad audience. Artwork, bullshots, images of packaging and other images can still be included in Steam store listings, however these images should be placed in "the specific spaces already available on your store page to put that content." Valve has even acknowledged that some of their game listings do not meet their new guidelines, and they've made appropriate changes to ensure screenshots are front and center. Dota 2 is one such example, where Valve has replaced game artwork with a large collection of in-game screenshots as required.